Our team combines the best available science and technical knowledge with the practical realities required for communities, businesses and our interconnected "just-in-time" world to thrive. Our professionals can navigate the most complex science and translate it into solutions that save client's money and time, will move projects forward, and help to build resilient environments and communities. We engage highly accomplished professionals including award-winning scientists, engineers and economists, along with members of The National Academy of Sciences panels and partner with legal or other experts as needed to serve our clients. ​Dr. 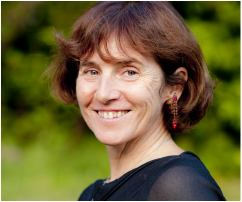 Deborah Brosnan is an expert scientist, environmental entrepreneur, and a marine resilience specialist. She has over 25 years' experience in environmental risk reduction and problem solving across government, civil and private sectors in the US and internationally. Her work lies at the intersection of cutting-edge science and real world decision-making involving environment, endangered species, development, energy, sea level rise, climate change and hazards - places where the stakes and risks are high. Her experience in handling environmental crises and natural hazards began with a narrow escape in the S. Soufriere volcanic eruption in Montserrat. She was diving underwater conducting research when the volcano erupted destroying the capital city and communities. Her ability to design response and recovery solutions, tailored to the needs of Montserrat, included designing a new port and town, moving a coral reef and providing leadership and support to communities - something that Dr. Brosnan has repeated in other disasters. After surviving a 747 plane crash in Asia that occurred during a typhoon; and for which she received a heroine's award for saving lives, she returned to the region following the Southeast Asian tsunami to give back to those who had helped her. She led several coastal, coral reef and marine recovery efforts assisting communities and businesses and mobilized her extensive network of marine scientists to assist with divers, local and national entities throughout the area. Dr. Brosnan has a unique approach and ability to effectively assess the core issues, mobilize technical expertise with the clients and stakeholders to solve complex challenges in ways that are practical, intelligent, strategic, and meet the needs of all parties. Her success in this arena has led governments, private sector and stakeholders to seek her out for projects in the USA and internationally, and especially when issues have reached crisis points. Her involvement has led to resolutions in high-conflict cases of national importance including Everglades Restoration, South Florida, the Columbia River, Missouri River management, Telluride Wetlands,. She has helped to resolve numerous endangered species issues that have pitted developers, regulators and communities. against each other. Her expertise in risk assessment, planning and mitigation for hazards, has led to her extensive work on climate change and disaster risk reduction including for islands in the Caribbean and in USA such as the Colorado floods, post-Hurricane Katrina, and scenario planning for California tsunami risks. She has a special interest in the challenges of islands and has been engaged by private developers and governments for environmental assessments and creating environmentally sustainable designs for entire islands. To that end, she also maintains a base on St. Barth's in the Caribbean. Her vision for science-based win-win solutions led her to create Deborah Brosnan & Associates where she has built an extensive network of consulting professionals committed to meeting the needs of clients and communities. Dr. Brosnan has maintained academic affiliations including Professor of Biology at Virginia Tech, Visiting Professor at Stanford University and at The Smithsonian Institution and was the Whitely Senior Fellow at the University of Washington. She has authored numerous peer-reviewed and popular articles. She serves on several Boards of Directors including PADI Project AWARE, UC Davis SeaDoc, the Science Board of the National Courts and Sciences Institute, and Global Risk Forum, Davos. She has participated as a delegate to UN conferences, including to the UNISDR International Sendai Framework Agreement Japan. At the invitation of the US Geological Survey (USGS) she holds an MOU for her group to provide expertise to government during times of natural or human induced disasters. A gifted speaker, she has spoken at numerous scientific and public conferences including TEDx As an expert contributor to the Huffington Post she has published Opinion pieces as well as OpEds and other pieces in The Washington Post and The New York Times online and is co-author of the recently published book "The Disaster Resiliency Challenge." Born in Ireland, Dr. Brosnan received her Bachelor's and Master's of Science degrees at The University of Galway. She completed her Ph.D. at Oregon State University and now lives in the United States and on St. Barth's. At Deborah Brosnan & Associates, she is joined and supported by a stellar team of scientific, technical, executive and project management professionals.